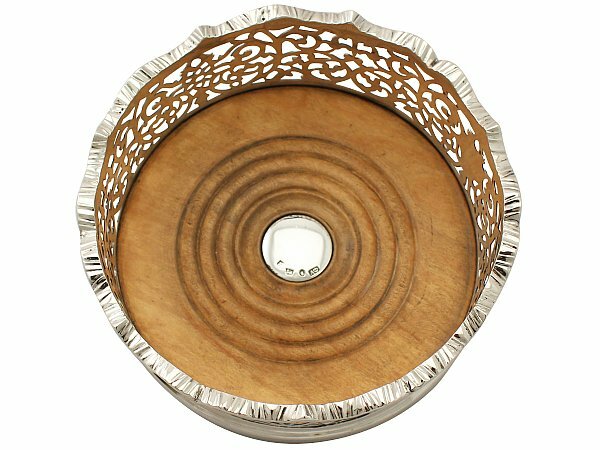 This exceptional antique Victorian sterling silver coaster has a circular form with a rounded base. 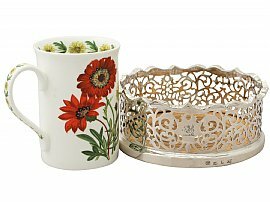 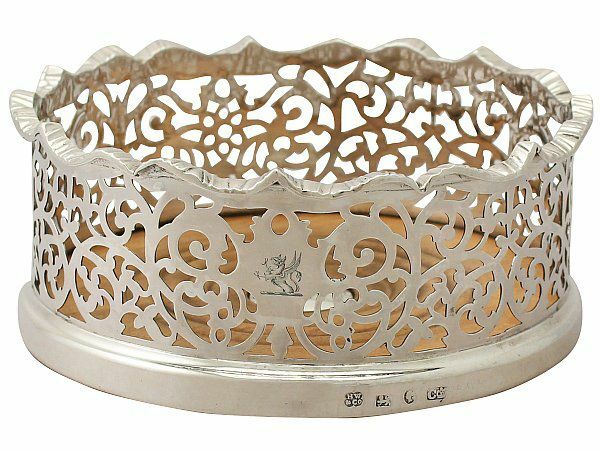 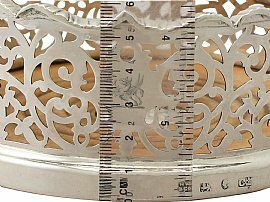 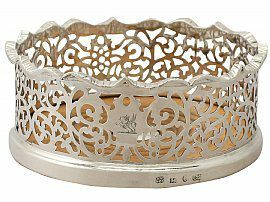 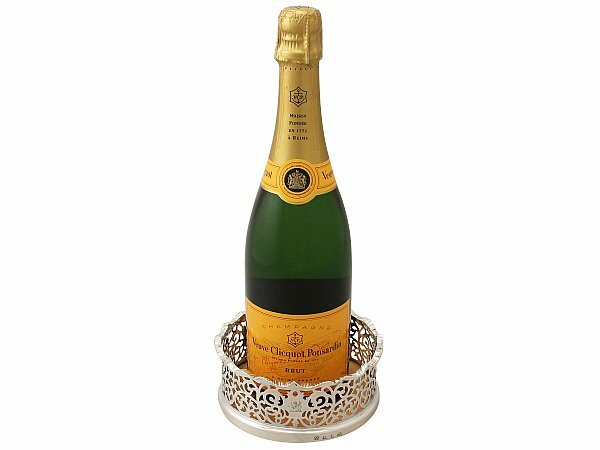 The body of this impressive silver coaster is embellished with pierced scrolling and interlacing decoration. 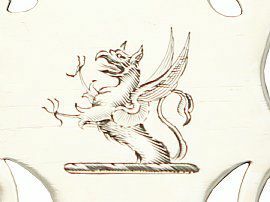 The decoration to the body incorporates a shaped cartouche displaying the contemporary bright cut engraved crest of a demi griffin. 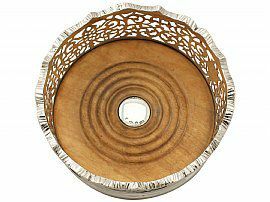 The undulating, flared upper rim is ornamented with an applied gadroon texture. 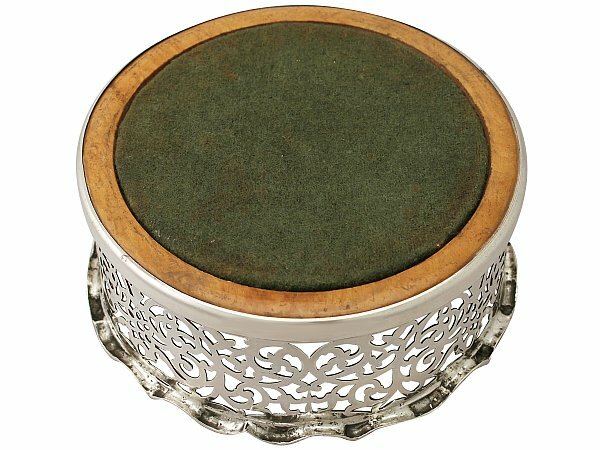 This antique coaster is fitted with a turned pear wood base and retains the original hallmarked sterling silver button style cartouche to the centre; the cartouche bears a different date letter hallmark to that struck to the rim of the coaster, this is due to a batch made assembly crafting process. The sterling silver coaster retains the original green baize to the underside. 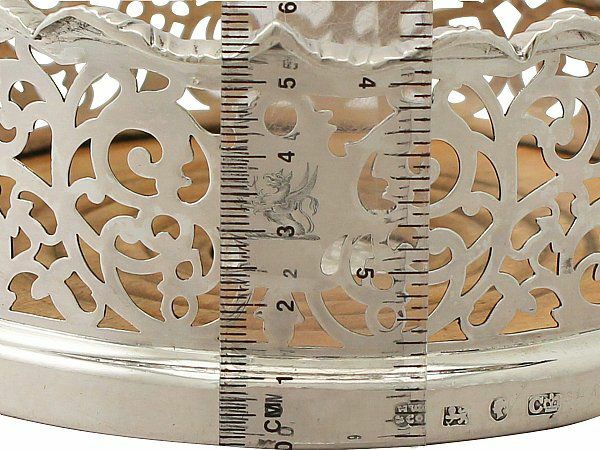 This antique coaster is an exceptional gauge of silver, exceptional quality and in exceptional condition. 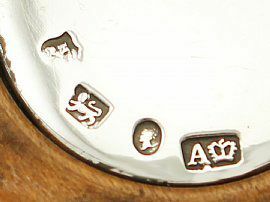 Full hallmarks struck to the surface of the rim are very clear; the nature of the coaster dictates the location of the hallmarks to the rim of the base. In many extant coasters, because of this, the hallmarks may become very worn and illegible. 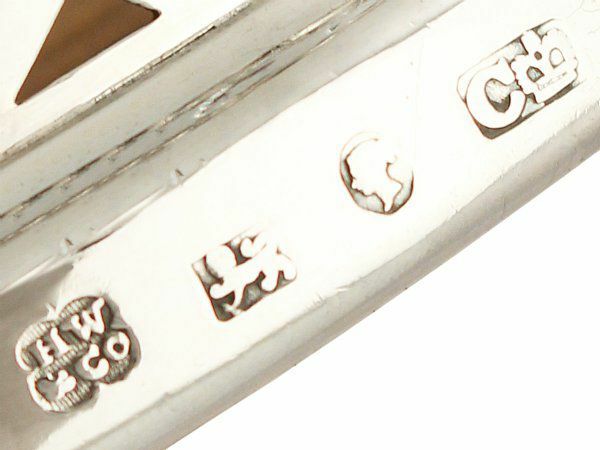 In this instance however the hallmarks remain very clear. The full hallmarks to the silver button are all very clear; the second portion of the maker's mark has wear, but remains legible.